VDOT Coaching Clinic Headed To Atlanta | Run S.M.A.R.T. We’re excited to announce a new VDOT Coaching Clinic with Dr. Jack Daniels. This will be our 9th clinic since we launched the event back in 2015. 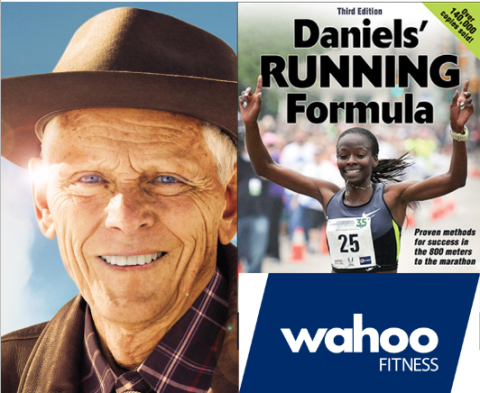 To date, over 200 coaches have become VDOT Certified and past guest speakers have included Olympian Lynn Jennings, legendary coach Frank Gagliano, and ultra running champion Rob Krar. Wahoo Fitness, a tech-fitness company that has created an ecosystem of sensors and devices for runners, cyclists and fitness enthusiasts, will be our lead sponsor. With Wahoo’s involvement we hope to connect with a broad range of athletes from different sports. Many triathletes use VDOT to improve their running and Wahoo bike trainers/sensors to support their cycling. In addition to learning Dr. Jack Daniels’ exercise science principles of endurance training, our featured guest speaker, Malindi Elmore, will present her athletic journey from: high school standout, to Stanford record-holder, to Olympic 1500m runner, to becoming a coach, parent and now one of the best triathletes in the world. Malindi’s inspiring story and broad range of experience will provide a unique perspective and excellent insight to our coaching guests. More info on the event registration page. "You Must Have Guiding Principles Of Training..."